Lightning during Thursday morning's storms was responsible for the deaths of two men and injuries to a 9-month-old infant. Shortly before 11:30 a.m., a man working on a billboard at 2700 W. 27th St. was struck by lightning and went into cardiac arrest. The Gary Fire Department confirmed later Thursday that the victim, identified as 28-year-old Angelo Santucci, died at an area hospital. He suffered multiple burns in the accident. 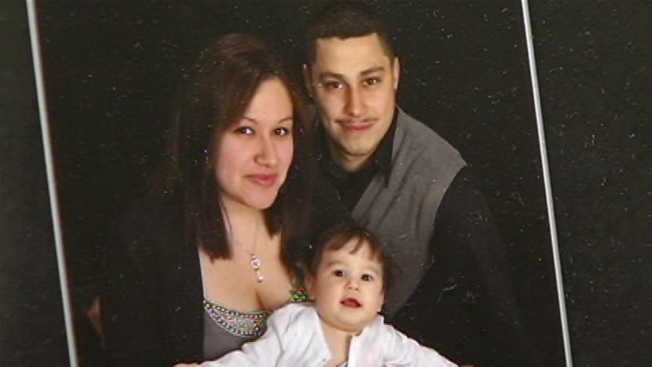 Santucci's family says he was a husband and father of a 2-year-old girl and 9-month-old son. "He was in love with his wife. He loved his kids. He had big plans. He was definitely a family man," the victim's mother, Elizabeth Sulls, said. Santucci was also an artist and musician. He was doing billboard work for a company called Lamar when the incident happened. Sulls questions why safety rules weren't enforced at the scene of the accident. "He would have been here with us. He would have been with his wife, he would have been with his children," Sulls said. "He was real strong on caution, he didn't want to take chances." Around the same time, a home in the 1100 block of Jefferson Court caught fire after it was hit by lightning, 42-year-old Jacquelyn Allen. Firefighters managed to rescue an infant inside the home, despite heavy rain and poor visibility that hindered the operation. Neighbors say Allen was babysitting his mother's foster child. The infant was listed in critical condition.